George Washington Littlefield Building, Austin, Texas. Architect: C. H. Page, Jr. 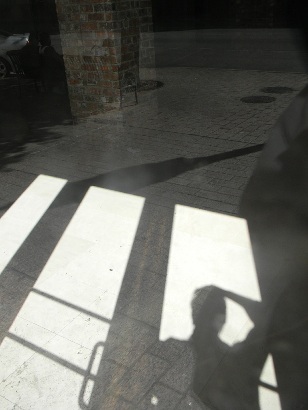 In 1839 Edwin Waller (the namesake of Waller County) used the juncture of 6th Street and Congress Avenue as the zero-stone for Austin’s basic grid of streets. The NE corner of this intersection, notorious for a succession of saloons and gambling houses, was purchased by George Littlefield in 1910. Littlefield erected his eight-story building (adding a ninth by enclosing a roof-garden) to house his American National Bank and to provide Austin with much-needed office space. 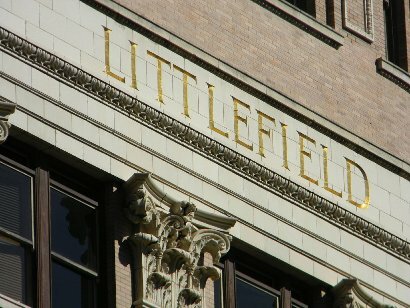 Littlefield’s bank had previously been across the alley in the Driskill Hotel. The upper floors of the building housed over 300 offices – and chilled water from an underground spring was piped throughout the building. Lyndon Baines Johnson was a tenant of the building in 1935 when he headed the Texas chapter of the National Youth Administration. The bank lobby held six murals depicting ranch life – the source of Mr. Littlefield’s wealth. 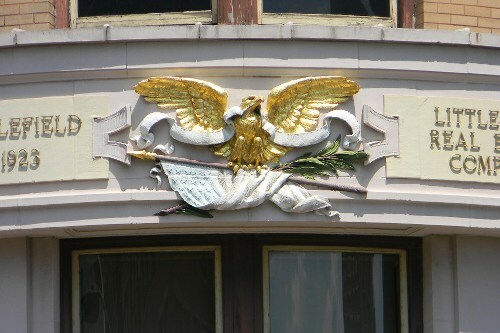 In addition to the murals – two huge bronze doors with bas-relief scenes of the Yellow House Ranch were cast by Tiffany’s and installed in 1911. 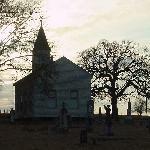 They were removed in 1960 and donated to the University of Texas. The last report on the doors was in 1975 when they were put on display in Ashbel Smith Hall on 7th and Colorado Streets. 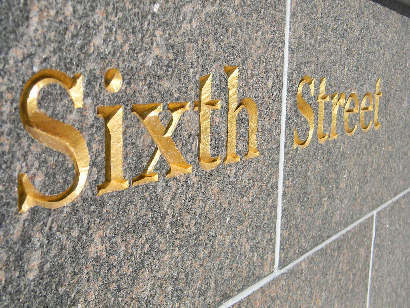 The buildings address numerals: 106 E. Sixth and 601 Congress form a numerical palindrome. 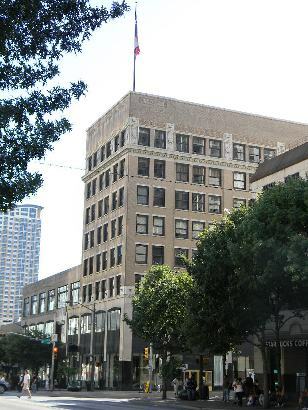 As of this writing (August of 2010) the ground floor of the Littlefield Building is for lease – reflecting a continuing recession. 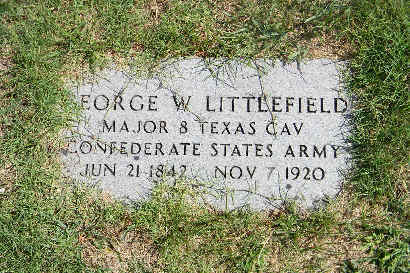 According to his military tombstone and every written reference, Littlefield was born in 1842 and died in 1920. His family did enter Texas in 1850, but currently there's no explanation for the year 1923. 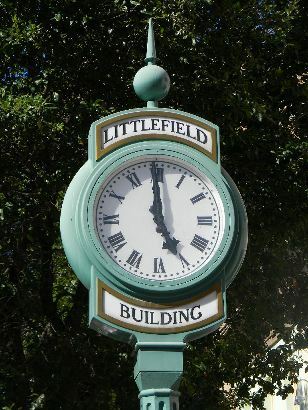 The Littlefield Clock still keeps accurate time. 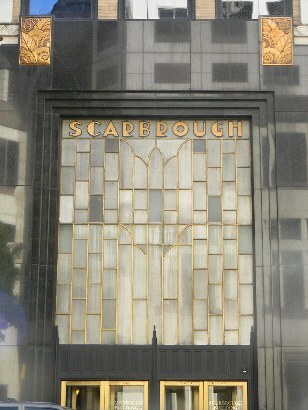 The Remodeled Scarbrough Building once competed with the Littlefield Building for Austin's Tallest. 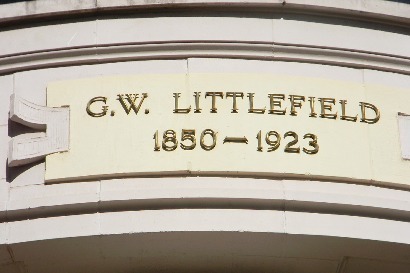 George Littlefield won the friendly competetion by enclosing a rooftop garden - thereby adding a ninth floor and beating the Scarbrough by one.